The annual SEMA Show is just around the corner and that means the debut of some of the industry’s most exquisite builds. 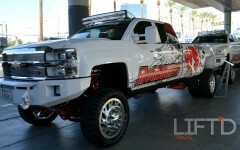 Rest assured, we’ll be at the show all week, bringing you the must-see lifted trucks straight from the event floor, but before the show kicks off Tuesday, November 2nd, we’ve got an insider’s sneak peek at some of the rides that we’ll be keeping an eye out for on the SEMA Show floor – check them out below, and stay tuned for the industries best Lift’d Trucks from the industry’s best! KEG Media: One of the industry’s leaders in automotive renderings and design, KEG Media is once again hitting the annual SEMA Show hard again this year. 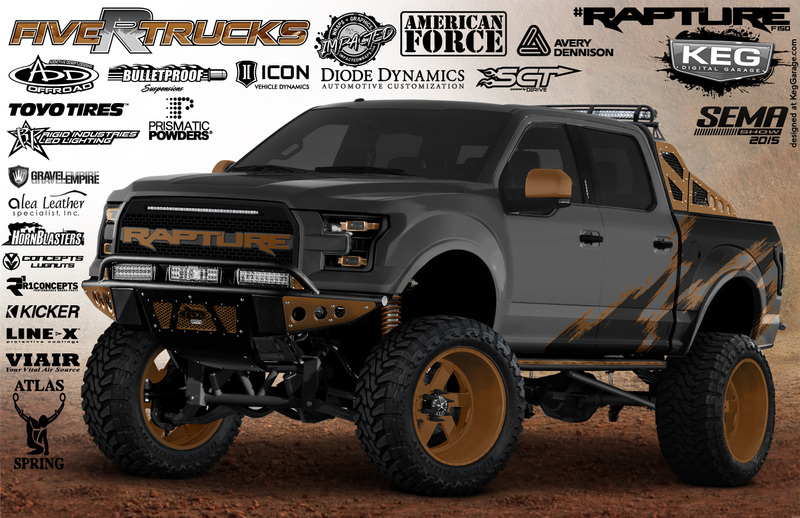 Not only will they be debuting “Rapture,” Robbie Bryant’s custom Ford Raptor built by Five-R Trucks, the company will also be bringing out Mrs. KEG Media, Keena Bryant’s custom Yukon named “Little Red Wagon” featured in the Cognito Motorsports booth and a brand new Chevy Colorado dubbed the “KEG Runner.” KEG Media will also be debuting the SEMA Dream Truck, a special build for one lucky winner of KEG Media’s SEMA promotional contest. And these are just a few of the top builds the crew will be a part of, not to mention all the builds that KEG Media has had a hand in (15 total) that will be hitting the show grounds this year – stay tuned as we bring you updates on these builds live from the show. Project Steel Gray: A revamped SEMA Show truck, Project Steel Gray is being built by our friend Jared Sensat to bring awareness to the struggle of Alzheimers. We’ve had a hand in covering this re-build, so it’s a cause that is definitely close to our hearts. With industry leading companies like EDGE, Gibson Performance Exhaust, McGaughy’s, Jet Performance Products, Killer Waxx and T-REX Grilles on board, we’re sure this revamp will go over big upon its debut next week! 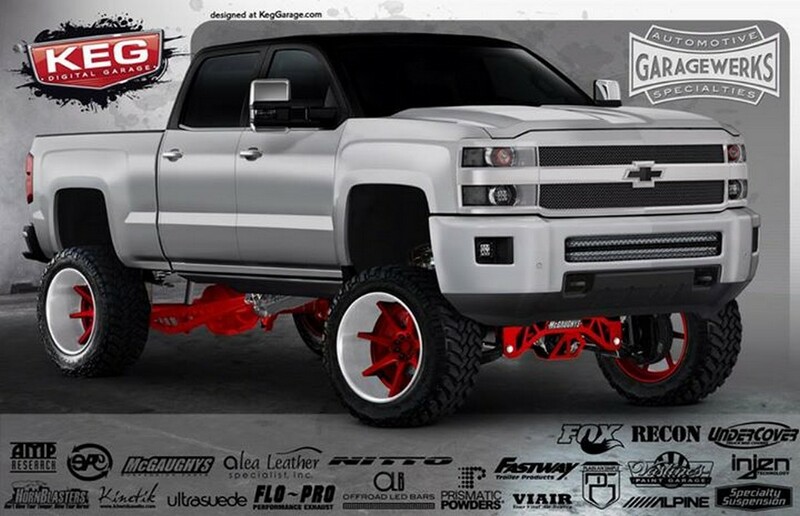 Garage Werks: This year, Garage Werks will have a mighty lifted truck presence at the SEMA Show, debuting their gorgeous Chevy Duramax with McGaughy’s, Specialty Suspension and FOX components, Viair compressors, Offroad LED Bars lighting, Nitto tires, an Alea Leather/Ultrasuede interior and of course, Hornblasters horns. We’ve gotten a peek at some of the exclusive build photos for this bad boy and knowing what Garage Werks brings to the table, we can’t wait to see this beast on the show grounds. 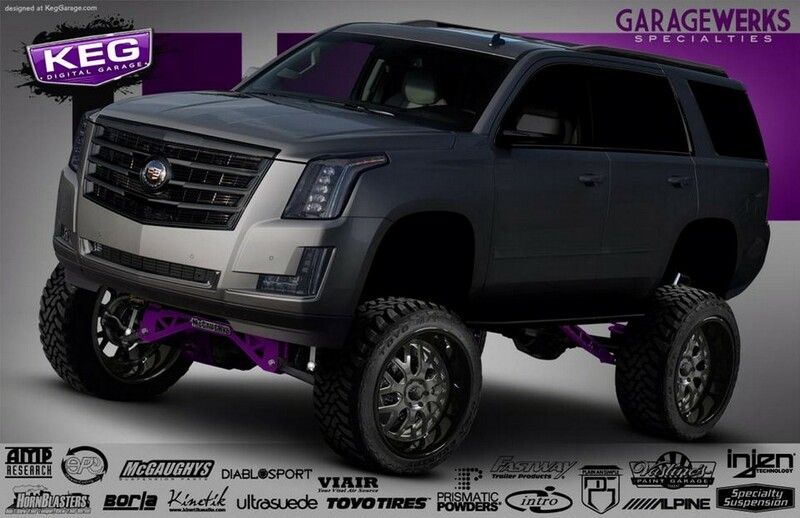 We’re also looking forward to seeing the lifted Escalade project, which features top components from industry leaders Borla, AMP Research, Kinetik, Toyo Tires, Injen Technology, Intro wheels, and Prismatic Powders. Rumor has it that this build will feature a 7-9-inch McGaughy’s lift powder-coated in Prismatic Powders’ Illusion Purple color, 22×12-inch 3-piece Intro wheels wrapped in 35-inch Toyo tires, and a sleek blacked-out color scheme from the body to the trim – we’ll bring you the exclusive on this build as well! Roadster Shop: Changing up their game a little bit this year, the Roadster Shop will be debuting a killer Colorado pre-runner they’ve created for the show. 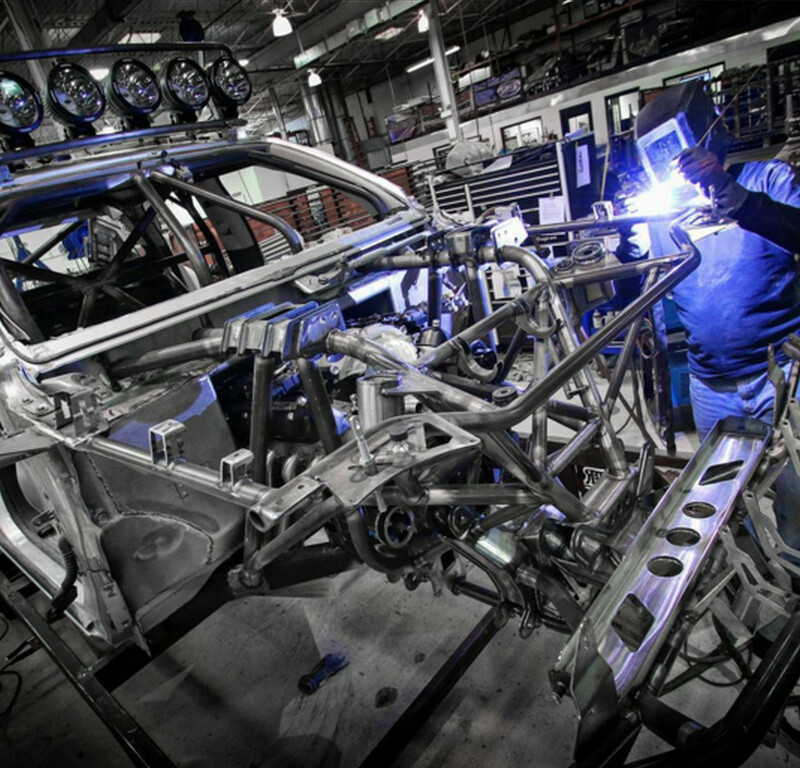 This beast of a build features custom everything, from the sheet metal down to the custom chassis. If you’ve ever seen any of the Roadster Shop’s builds in the past, then you know they push every limit and truly strive to bring something new and unique to the table every year, and this pre-runner is no exception. 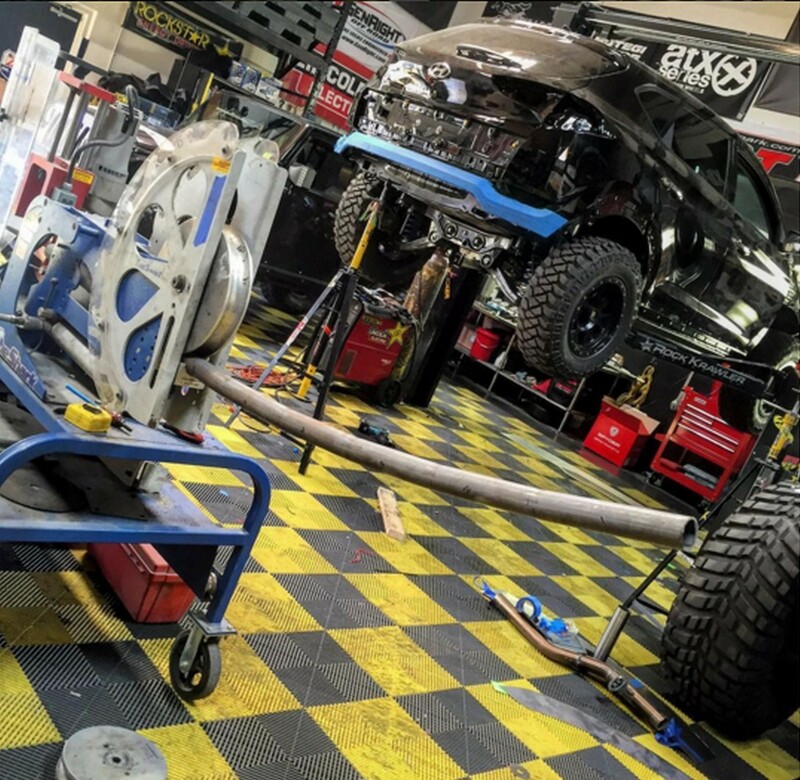 While the truck is still under wraps, we caught some glimpses of the build, and to say that it will be the one to beat at SEMA 2015 is probably an understatement. 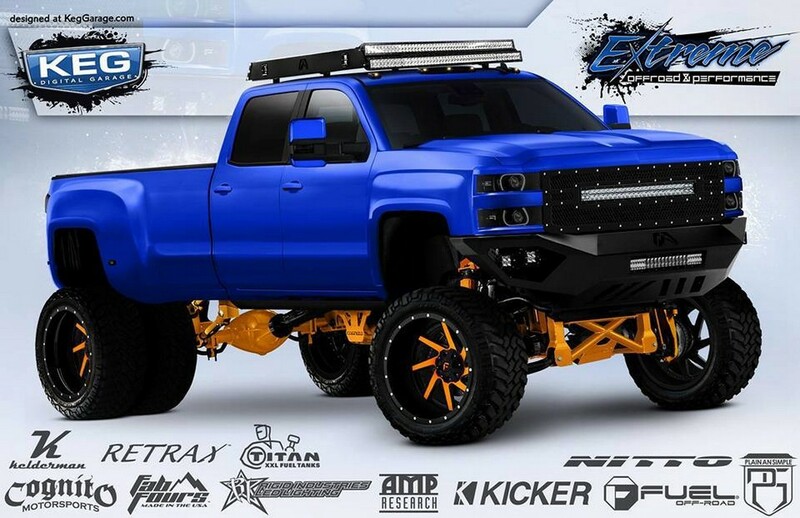 Extreme Offroad & Performance: Looking to hit the 2015 SEMA Show hard, Extreme Offroad & Performance is bringing seven builds out for this year’s event, including a sick Chevy Silverado High Country owned by Demarcus Leija (just a senior in high school), a one-of-a-kind Ford Super Duty featuring TIS Wheels, BDS Suspension components and a Royalty Core grille, and the dually of all duallys, built for Cognito Motorsports and equipped with Fuel Offroad wheels, Nitto tires, Fab Fours bumpers, Fox shocks, and of course, a full Cognito/Kelderman suspension setup. 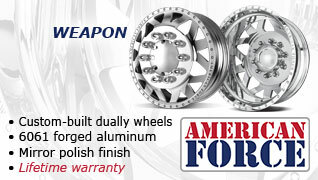 If you’re looking for a fleet of exquisite builds, Extreme Offroad & Performance won’t disappoint. 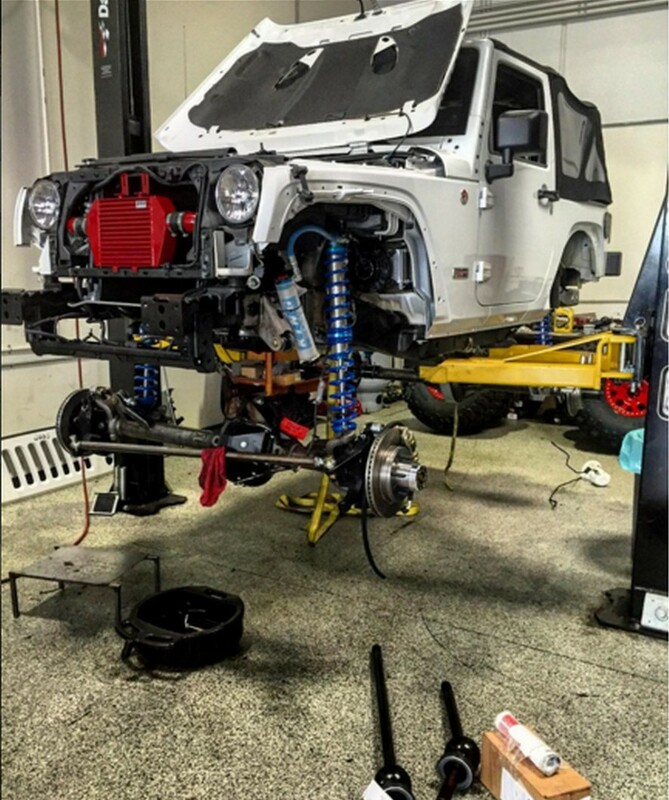 Rockstar Garage: If lifted Jeeps are more your style, Rockstar Garage is currently buttoning up a Wrangler for RIPP Superchargers to debut at SEMA. 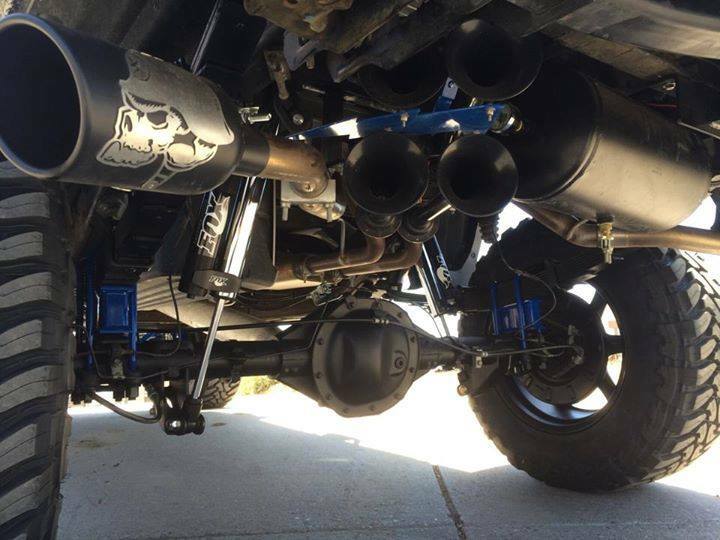 This particular Jeep, named “The Gavel” features KING shocks, GenRight Offroad Armor, Black Ops 4×4 body work, a slew of Mishimoto cooling components, and a RIPP supercharger. Rockstar Garage has also built a pretty sick Hyundai Tucson, featuring Bulldog LED Lighting components and Mishimoto cooling components among other things, as well as a custom Chevy Colorado featuring Addictive Desert Designs components and an RIPP supercharger. Project Supremacy: A project build owned by Willy Suarez of East Coast Concrete, Project Supremacy is going to be one for the books. 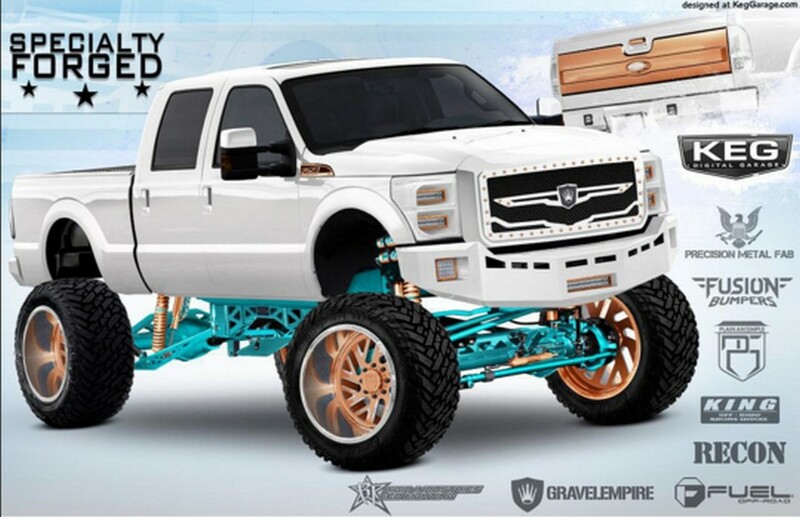 Not only is this an amazing build for the “normal guy,” it’s also backed by a ton of industry leaders, including Specialty Forged Wheels, KING Shocks, Rigid Industries, plainANsimple, Fusion Bumpers, Fuel Offroad, AMP Research, KEG Media, Powerstroke Specialist, AWC Grills and many more. 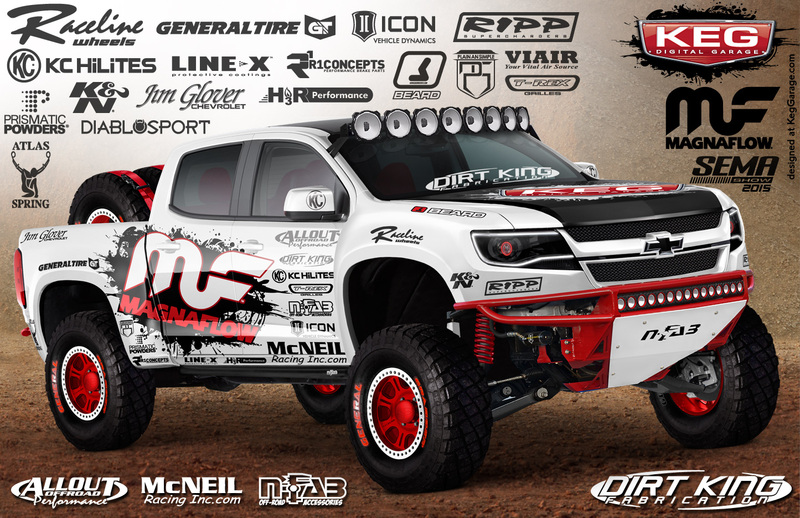 A unique build sure to make its lucky owner’s dreams come true, this truck is one we’ll especially be looking to see. Cognito Motorsports: Suspension king Cognito Motorsports will be bringing their top builds to the SEMA Show next week to be displayed in their booth, including KEG Media’s Little Red Wagon, the famed MadDMax being built by Elite Customs, and High Voltage, built by Go Big Truck Performance. 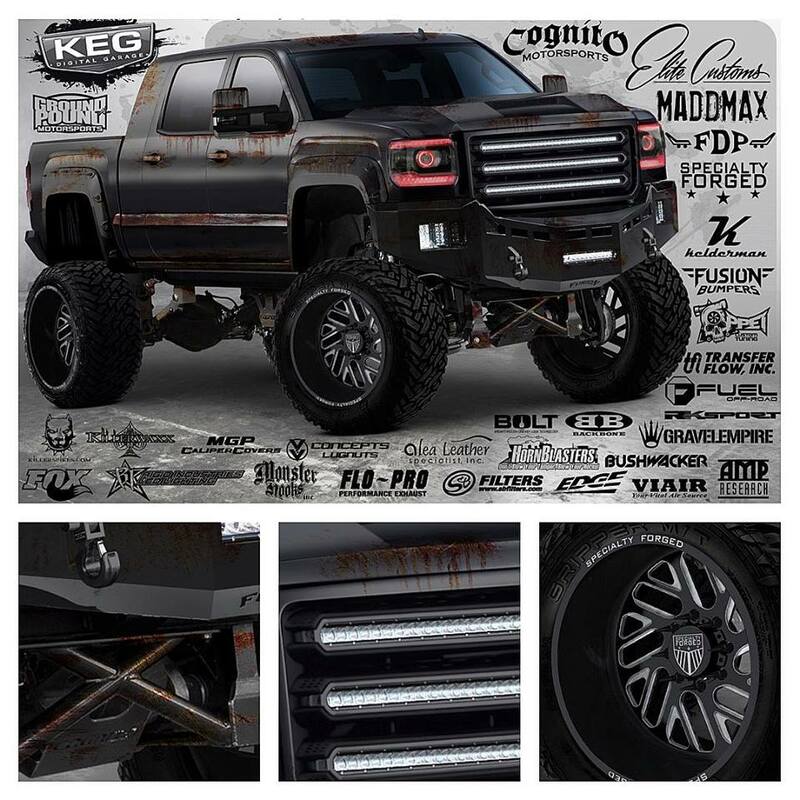 MadDMax will feature a 10 to 12-inch Cognito lift, Fox shocks, massive 26×16-inch Specialty Forged wheels wrapped in 40-inch Fuel Offroad Gripper tires, Fusion bumpers, Kelderman air suspension, grille from All Wired Grills and much more. 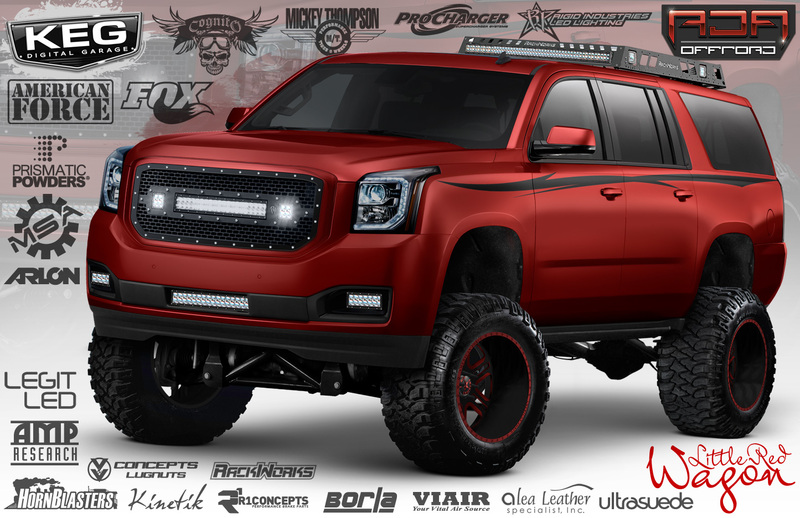 High Voltage, a custom 2015 GMC 1500 Z71, also features a 10 to 12-inch Cognito lift and Fox shocks, as well as Iron Cross front and rear bumpers, a Royalty Core grille, Rigid Industries lighting components, 20×12-inch Hostile wheels wrapped in 37-inch Toyo tires, and a Gibson exhaust. 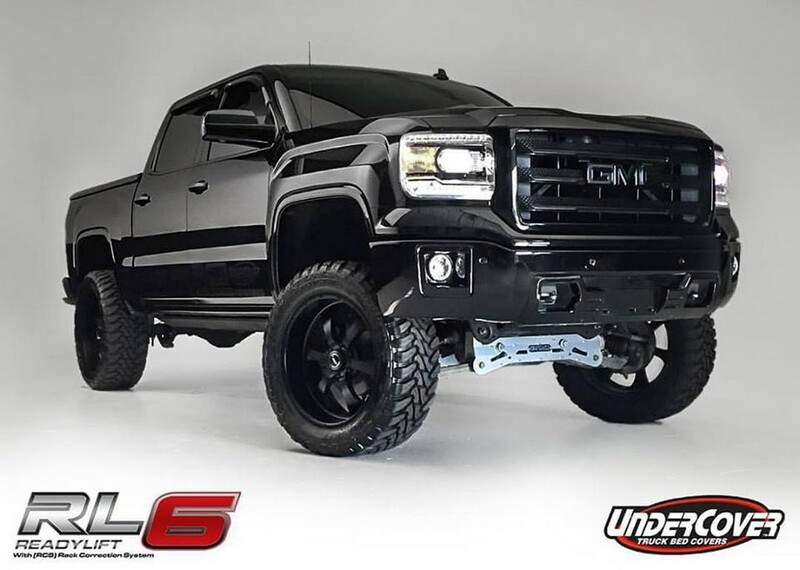 ReadyLIFT: Last, but certainly not least on our “builds to watch for” list is the custom 2015 GMC Sierra named “Murdered Out” coming from ReadyLIFT Supsension and debuting in the Undercover Trucklids booth at SEMA 2015. 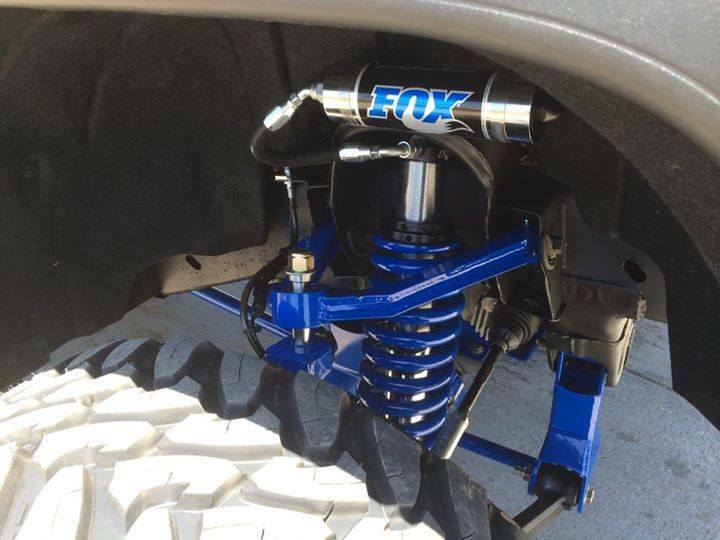 Just as the partnership suggests, the truck features a full ReadyLIFT Suspension setup as well as components from Undercover Trucklids. One of the sleekest builds we’ve seen heading to SEMA this year, it will be interesting to see how the Murdered Out Sierra stacks up against all the other amazing lifted truck builds as far as crowd reaction goes. There are plenty of other leading companies out there planning to bring their best to SEMA 2015 and more and more companies are keeping many of their SEMA builds under wraps for more of a surprise debut tot wow the crowds when their projects hit the show floor. 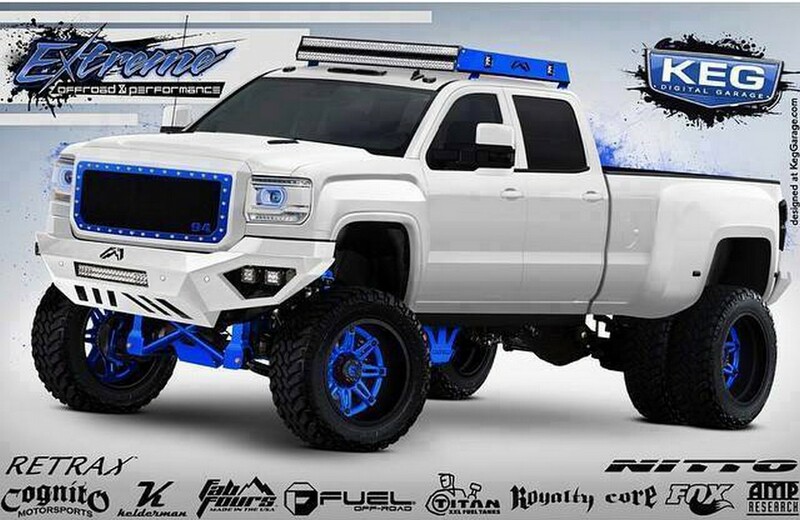 We’ll be watching out for these builds from the likes of Five-R Trucks, Sadistic Iron Werks and Hauk Designs, just to name a few, and bringing you the best of the best LIVE from the SEMA Show floor – Stay tuned!